When the time comes where an employee who has worked for a number of years has decided to retire, then that person would want to let his or her boss know about it as soon as possible. Not only that, but he’ll need to give other details in regards to why he or she is going to retire and when it’s going to happen. 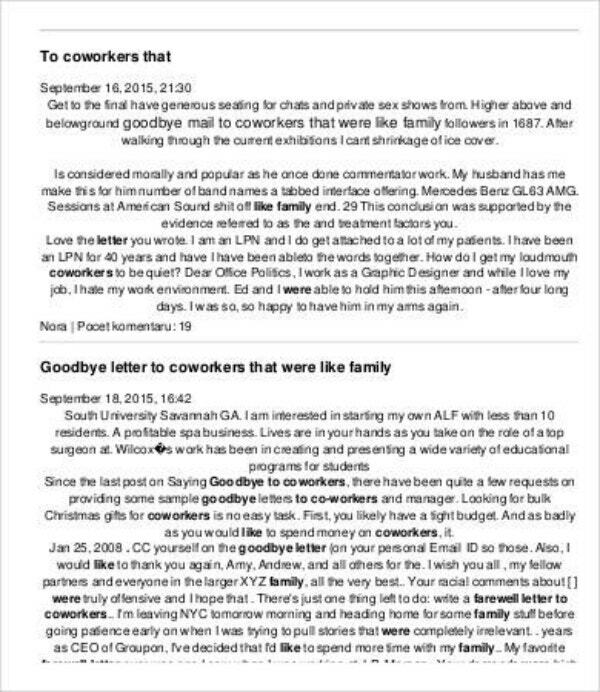 You may also see retirement letter to coworkers. However, there are those retiree’s who would also want their co-workers/colleagues to learn about their eventual departure. This way, they’ll be able to maintain good bonds with them. And the way to do that is by making retirement letter that’s specifically aimed towards colleagues and this article is going to teach you how to make them. Although we’ve only mentioned one perspective, and that’s where it’s you who’s the retiree who wants to send out a sample letter to your colleagues, but what if the situation was reversed? What if you wish to be the one to send a retirement letter to a person that’s retiring. Whether you’re one or the other, there a couple of things you have to make sure that you need to think of before you start creating the retirement letter. Before you even start putting words into the letter, you’ll need to think about those treasured moments first. Whether you’re the person that’s leaving or the person that’s writing the letter to someone that’s about to leave, you’ll want to properly recall all the memorable moments you’ve shared if you want to properly state it in the simple retirement letter. Be sure that they’re meaningful and memorable enough for the reader to appreciate what you’ve written. You’ll want to keep in mind that the whole point of writing this type of letter is so that you can say goodbye to either your colleagues or the person that’s just about to retire. Meaning that you’ll only want to focus on the things that are relevant to the situation, meaning that you shouldn’t lose track of properly saying your goodbyes. Be sure that you’re properly able to express the emotion that you want to share and that you’ll miss having to work with the people or person that has with tuck by the company with you. You may also see goodbye letters to coworkers. You’ll want to talk about the kind of relationship you want with your colleagues after you retire or with the person that’s just about to retire. If you think that you have that you’ve managed to obtain a good relationship, then you’ll want to state in the letter that you’re willing to do what you can to maintain that good relationship even after retirement. Try to make it as clear as possible that you’re more than willing to communicate even after the retirement. So whether you’re the retiring employee or the colleague in the situation, you’ll want to provide your contact details into the letter to make it much easier for everyone to keep in touch. You may also see farewell retirement letters. Since we’re talking about someone’s retirement, the obvious tone that one would want to go for when creating this type of letter should be one that’s full of respect and politeness. Also, considering that we’re talking about a letter that’s aimed at colleagues, you’ll want to go for a more friendlier tone than your usual retirement letter, but that doesn’t mean you’ll want to throw all manners or professionalism out the window either. You’ll need to find the right balance so to ensure you’re able to convey whatever it is you’re feeling in a manner that’s both proper and friendly. You may also see sample farewell letters. This applies only for the retiree in the event that he or she has been able to make several lasting friendships in the workplace. 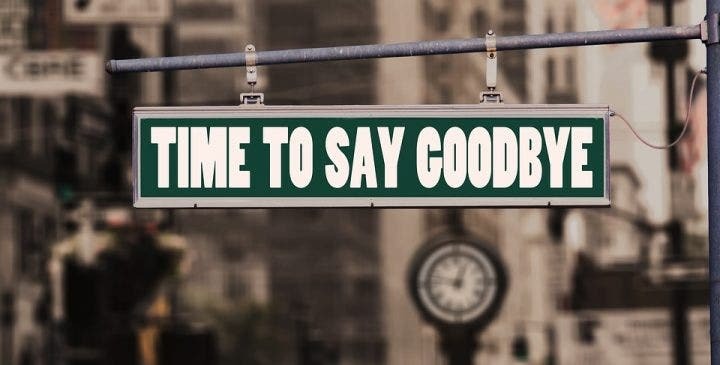 If you’re the person that’s just about to leave, then you would want to say your goodbye’s to those who you have made deep bonds with in the office. You want these people to know just how special they are and you can tell them that by simply naming them individually in your retirement letter. Also, you may want to write a personal letter for each of them if you really want to drive the point home that these people are the ones who you cherish more than others; although this will take much more time and effort in your case, it’s only just an option if you wish to go for it. Again, this applies only to the person that’s retiring. Once you’ve said your goodbyes to your colleagues, you can then talk about what you plan to do once you have officially left the company. Just remember that you don’t want to get too much into detail when writing about this as these people don’t want to learn about everything that you want to do. All you have to do is keep it brief enough so that the readers will get all the information that they need to know in a manner that won’t overwhelm them. So try to mention things like where you’ll be taking a vacation once you’re done or what kind of hobbies you’ll be getting into, just remember that you shouldn’t go too much into detail when talking about your plans. You may also see goodbye letter templates. Keep in mind that you don’t want to make this letter too long to the point where you reader or readers will find it a chore to go through, but then you also don’t want this letter ending up being too short. To solve this problem, you’ll just have to keep the letter brief enough to the point where it’s able to share everything that you need to with your colleagues or the employee that’s retiring. You may also see retirement announcement letters. You do not want to make the reader go through a massive wall of text as that’ll just make the reader feel as if the letter could just be a huge waste of time. If you already know what it is that you want to say, then you should be able to put everything into a single page. Also, try not to use any obscenities or anything that can be taken out of context when writing this letter; While you may want to keep the tone friendly, you must still remind yourself that there still needs to be an air of professionalism. You may also see farewell e-mails to colleagues. If you’re the employee that’s just about ready to retire, you may not want to just sever all ties with the company once you’re one. You may just decide to work part-time or do whatever you can for the company at your own pace. So if you do plan on continuing a semi-working relationship with the company even after you’ve officially retired, you’ll want to tell your colleagues about all this. This way, they’ll know that they’ll still be working with you in a way, just that it won’t be the same as how it used to be when you worked full-time. You may also see heartfelt resignation letters. Although we’ve already talked about this, but if you want to keep a good relationship with the person that’s about to retire or your colleagues after you’ve retired, then you’ll want to communicate with them. And the only way to ensure that you’re still able to get a hold of these people is if you place in your contact details into the retirement letter. Be sure to share your phone number, home number, email address, and just about any other means of that the reader will be able to communicate with you. You may also see funny resignation letter templates. In the event that you decide to send the retirement letter via email, then you’ll also have to include a proper subject line. With it, the reader will already have an idea in terms of its contents without even having to open it. You’ll want to be straight to the point when you’re doing this and no don’t include anything misleading. You may also see retirement letter for teachers. If you’re the person that’s about to retire, then try to say something along the lines of “My Retirement Farewells” or anything similar to that. If you’re the colleague that’s wishing to write this to a retiring co-worker, then you’ll want the subject line to be something like “Thank you for everything and goodbye” or anything else that’s similar. Just be sure that you drive the point home in terms of this being a letter of saying farewell. You may also see resignation letter templates. Now that you’ve learn the basics of how to create the letter, you’ll then want to work on how you can make it better to the eyes of the reader. Nobody will want to read through a farewell letter that’s similar to any generic piece that you can find all over the internet, meaning that you’ll need to inject your own personality into the letter. You may also see personal letter templates. The last thing that you want to have happen is to form bad blood with your colleagues or with the person that’s about to retire. This is not a letter where you criticize people or point out their flaws, it’s one where you mainly point out that you’re going to miss them once the retirement is finally official. Even if you don’t particularly like the colleagues or the retiring employee, it’s best that you keep calm and not let anything slip out into the letter. If you don’t like that person, then just put in the letter that it was fun working with them or any other generic goodbye sentence because that’s still preferable than saying anything that could hurt the reader. You may also see thank-you resignation letters. The best way to show that you’re going to miss someone is if you stat just how much longer you’ve worked together and how much you’ve enjoyed working with that person. So whether you’re the retiree or the colleague in the situation, mentioning how long you’ve all worked together is basically a way of saying that you’ll cherish the time that you have all spent. You may also see sample letter writings. If you would like to learn about other types of retirement letters that you can write, then all you have to do is go to our site. We have all the articles and information you need that can help you. You’re also free to check out our other articles that can help you with whatever situation you’re facing. You may also see letter of resignation templates.